The national achievement survey NAS had highlighted what has been worrisome trend for some time. That the urban education situation has become bad. It is not easy to slide down below districts like Ratnagiri and Beed in education, no less. What use is then the connectivity, the technology, the facilities that people talk about when they stay back in the city for their child’s education. Girls leaving behind boys in studies has also been an obvious trend. People recognise that from news headlines during results. However, the options to choose from are limited. While most girls choose medical, many traditional families restrict girls to get into the medical field because it is service oriented and women will have to interact with ‘all sorts of people’. Most people’s understanding of education is the certificate which students get after Class 10, 12 and Graduation. However, there is ample proof that those certificates do not really help in earning livelihood. Neither are they helpful in the development of a child. That is because the certificates are based on assessments. 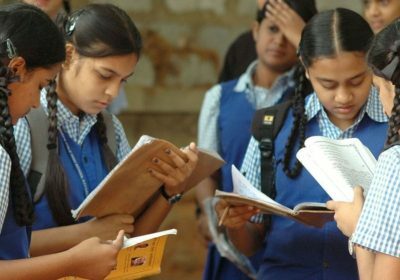 Maharashtra does not have the best statistics when it comes to education yet when it comes to assessments the state has refused to accept the parliamentary standing committee’s recommendations that there should be assessments in class 5 and 8. Failure to pass the exam will give the student one more chance after two months failing which the student will be retained in the class. The no detention policy has given us more problems than it has solved. The biggest problem is that we do have matriculation passed students who have no inkling what they have been taught in school. And English medium students who cannot even say one proper sentence in English. This is the situation in urban areas. The committee rightly pointed out that there were abysmally low learning levels in children and there was no motivation for then to learn it for teachers to teach. National Council of Educational Research and Training (NCERT) had stressed on continuous assessment throughout the year which is supposedly a good recommendation. Rather than assessing a student on one year end exam students can be given multiple exams. The National Commission for Protection of Child Rights supported “the assessment of children in Class 5 and 8” but not their detention. It found the 2 months period for a re-exam a short time for children to build up confidence to reappear for examination. Where do our Priorities lie? The people in power are hardly bothered about the development of children. Although the assessment policy is being debated Maharashtra board that has been opposing such a move has gone ahead and ordered books over 59 lakhs on PM Modi. Leader of opposition Radhakrishna Vikhe Patil has claimed that the Books Published by Pune-based Bharatiya Vichar Saadhana – that has links to the RSS – contains adult and objectionable content. He says the books are inappropriate for children. In other words, the book has been ordered to increase the sale of one publishing house and push the agenda of a certain political party. The agenda behind pushing a certain ideology has been going on since forever. The opposition parties have been accusing the Congress party for promoting the Nehru-Gandhi family in text books subsequent governments have replaced or added icons that are closer to their party ideologies or symbols. The latest being the books of PM Modi. Meanwhile, students continue to suffer taking to school huge loads that are heavy to carry of books that will probably not help them to do anything in life.